Getting out on the water in a canoe, kayak, or stand-up paddleboard (SUP) is an amazing way to experience the beauty of nature. Paddlesports are a fantastic opportunity to combine the enjoyment of the best sights and sounds that the river has to offer, with the exhilaration of navigating fast running water. Wouldn’t it be great if you could share that experience with your furry best friend? Well the good news is you totally can! With a little extra preparation and some special training for your pal, you can both take to the water, sharing the experiences and excitement that make paddlesports so popular. There’s no better way to spend quality time with your pooch. Dogs are a lot like people when it comes to water; some absolutely love it while others will do anything they can to stay dry. The simple fact is that some dog breeds are better swimmers than others. 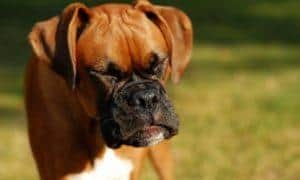 Breeds like bulldogs, pugs, and boxers are heavy in the chest area, making them poor swimmers, something you will have to take into consideration. If your pooch is anxious or afraid around water, they probably won’t enjoy paddlesports. 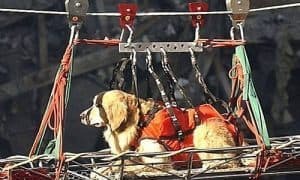 Don’t push the issue, though, a scared dog in a kayak is a surefire recipe for disaster. 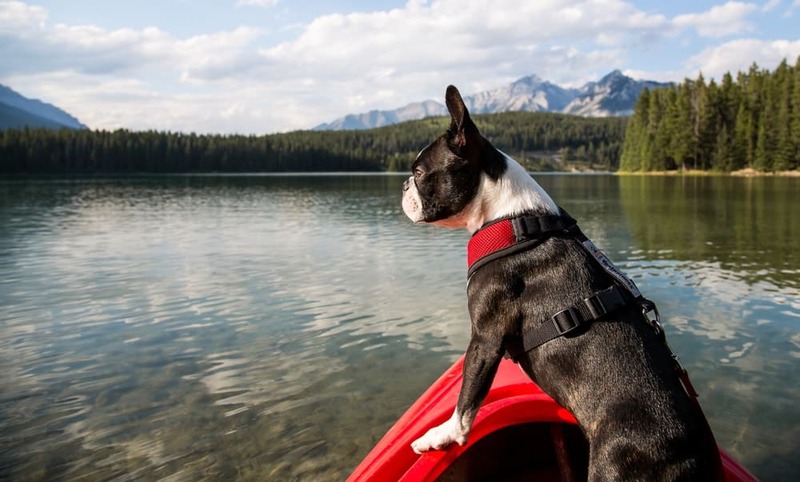 The real trick to paddling with your dog is making sure they are acclimatized to your choice of watercraft and that you have a set of specific commands in place that will allow you both to take to water safely and enjoyably. Kayaking with your dog doesn’t require the use of any specialized commands. 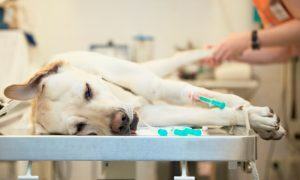 The standard array of basic commands, such as “sit,” “stay,” “come,” “lay down” and “go to bed,” will work fine. You just need to work with you dog to get them to understand how those commands work in a paddle sports setting. Tell your dog to “stay” until you are securely in the boat. Then use the “come” and “lay down” commands to get them comfortable in the boat. Bringing a water-resistant dog bed with you gives you the option to use the “go to bed” command if the water gets a little rough. Having your dog lay still reduces the chance of them upsetting the boat and the familiarity of their bed will help to keep them calm. When you are coming into the bank, use “stay” to stop your dog jumping out as soon as the water gets shallow. You’ll want them to stay still and calm for as long as possible so you can be on land and prepared when they leave the boat. 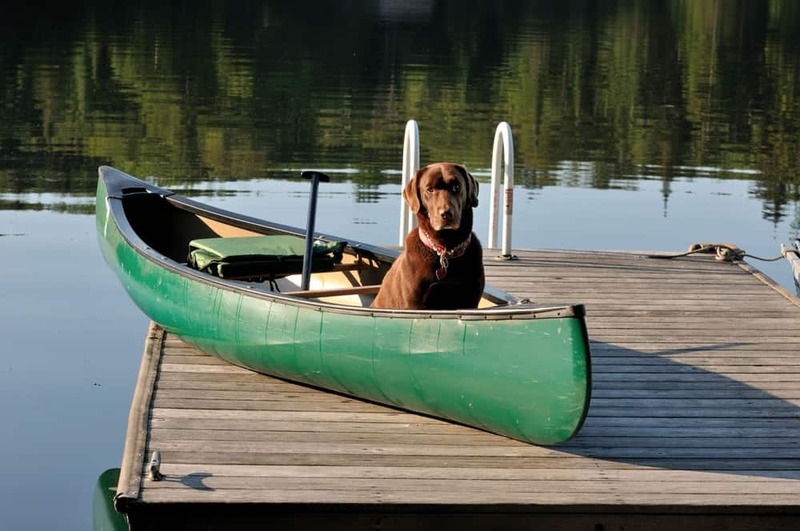 The first step in taking your dog out on the water is getting them acclimatized to your canoe, kayak, or SUP. Sitting in a kayak is going to be a novel experience for your dog and they will need to get used to its space and movement. Start the acclimatization process on land: Don’t head straight for the water. Encourage your dog to explore your choice of boat on land, getting used to how it moves when they are in it. Encourage them into the boat with items they are familiar with, such as toys or a bed. Take it slowly: Get your pup used to your boat in stages. First, let them explore on their own, then take your normal paddling position while they are with you in your canoe, kayak, or SUP. 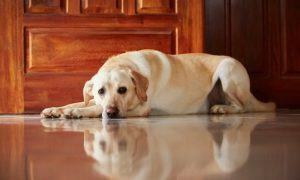 As your dog gets used to your boat, with repetition they will gradually get less excitable. Reward them for being calm with their favorite treat. Introduce them to the water: Initially, just find a relaxing, low stress area of shallow water and enjoy some time there with your pal. Let them play in the water and get used to the idea of spending time there with you. Take your first journey: Keep your dog’s first experience of being out on the water with you short. Perhaps a journey of no more than 15 minutes. The key is to gradually build up their tolerance and enjoyment of the experience without overwhelming them and undoing all your previous good work. Rinse and repeat: Slowly build up the length of the journeys you are taking with your dog until you can be sure that they will say calm when you are out on the water. 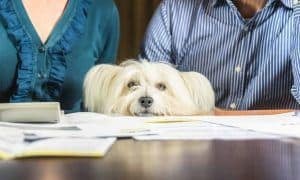 If your dog starts to show signs of anxiety, pull over to the bank immediately and give them the chance to calm down before continuing. 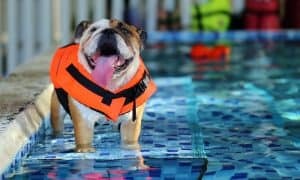 When you are out on the water, it is always a good idea to have a personal flotation device on and the same applies for your dog. PFDs for dogs come in a range of sizes and shape specifically suited for different breeds, so you’re sure to find one that will keep your canine pal safe. Size your boat to your dog, not the other way round. That sleek one-man kayak is not going to stay stable with a fidgety labrador in it. Tandem kayaks are a great way to make sure you have enough space for both you and your pooch to be comfortable. 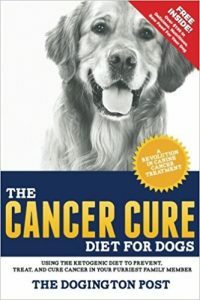 Your dog will need the same necessities out on the water as they would on land. Make sure you’ve left room in your gear hatch for some dog food, water, a leash, treats, and a convenient way to dispose of their waste. Make regular stops. You might be enjoying the exercise of paddling but, for your dog, paddle sports can involve a lot of sitting still. Pull over to the bank on regular occasions to let them get out and get some exercise. 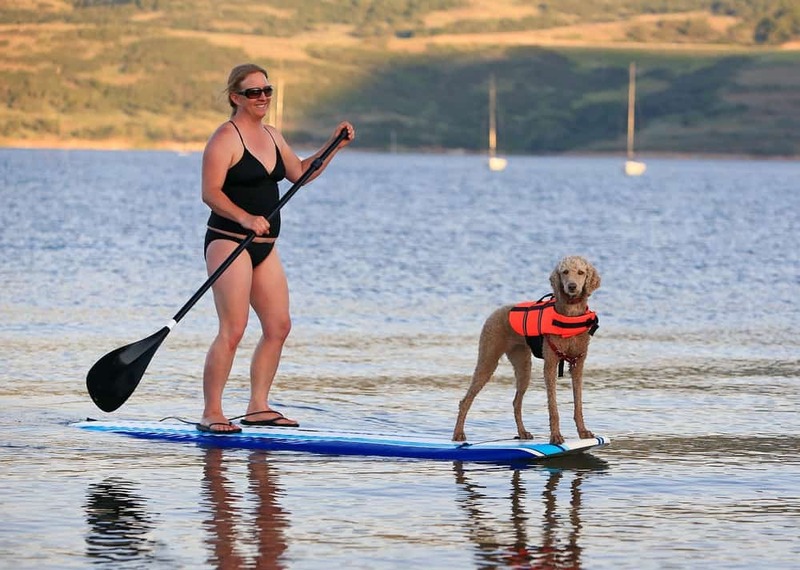 Most dog owners would do everything with their dog if they could and, with a little time and effort, paddlesports is just one more group of activities you can do as a team. The trick to making sure both you and your canine buddy are safe and happy out on the water is getting spending the time beforehand getting them used to your boat, the water, and how you want them to behave. 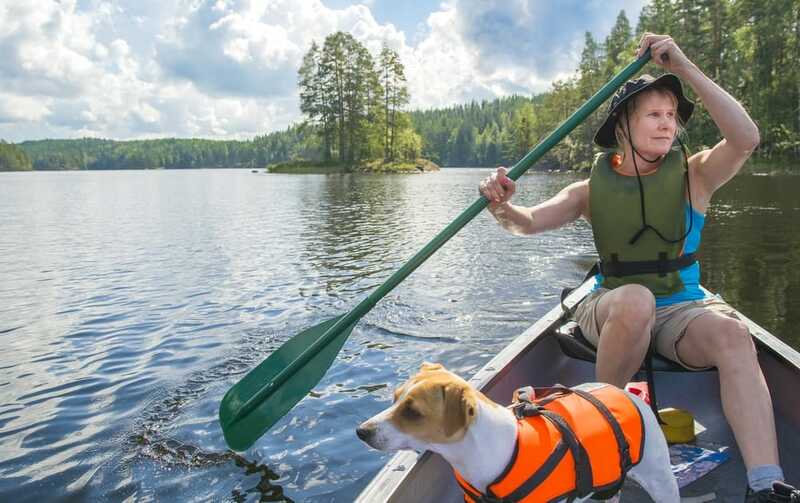 Acclimate your dog to the water with patience, respect, and love, and you both can be out enjoying the thrills of paddling before you know it. Author: Pete is the Owner of KayakAdvisors.com. Born and raised in Cleveland, Ohio, he grew up kayaking, sailing, and partaking in outdoor adventures around the Great Lakes. When he’s not out on the water, you can find him skiing in the mountains, reading his favorite books, and spending time with his family.